The movie is a journey through the 1980's, a period in which actor Jayan's death had happened. Even though his real life absent created a vacuum in the film industry, it gave space for few to boom. Kunjikanan (Fahadh Faasil) is a native of Kannur who reaches Kodambakkam with dreams to become an actor. As Kodambakkam was once the hub of Malayalam film industry, Kunjikannan wished to use the platform to live his dreams. Kunjikannan reaches Kodambakkam and joins the sets of the movie in which Jayan was supposed to perform. The unexpected death of Jayan was really a shock, but it truly brought good happening in the life of Kunjikannan. The producers decided to cast him in the lead replacing Jayan, the evergreen actor. There after Kunjikannan changing his name to Arun Raj and become a busy actor. But he could not enjoy his stardom as the actor goes missing at the peak of his career. Rest of the story passes through some real twists and turns which forms the crux of the movie. With some real life incidents, the story would keep the audience intact. The story, script, and dialogues of 'Shivaganga Cinema Factory' will be handled by the director himself. 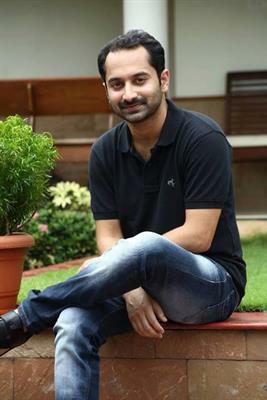 Fahad Fazil who has earlier played the role of an actor in 'Best of Luck' will play a full length role in this movie. Fahadh is busy with Amal Neerad's period romantic flick Iyyobinte Pusthakam. His committed projects in 2014 include Saheed Arafath's 'Cartoon', and Money Rathnam directed by Santhosh Nair and Anwar Rasheed's 'Maniyarayile Jinn'. So keep waiting for the upcoming movies of the young actor who is responsible of bringing revolutionary changes in the film industry.